Every single year consumers and critics alike impatiently await the arrival of the smartphone world’s heavy hitters like the Galaxy S and Note line of smartphones and iPhones. However the market itself is reaching a point where real innovation and risk taking are seldomly seen in these highly anticipated devices. Companies simply do not seem to want to take a chance with their main or flagship seller. Therefore, here is our list of the top smartphones of 2015 that we anticipate will be much more than just “the traditional flagship” and will hopefully turn some heads. The OnePlusOne didn’t do much in the sense of innovation, however they were offering flagship specs at an unbelievable price. The OnePlusTwo will potentially be dropping Cyanogen so the uniqueness of the device is taking a hit. What is interesting is guessing what OnePlus could do to appeal to consumers again. The price we believe is a potential factor but to stay in the game, OnePlus will be looking to grow interest among a broader consumer base in their products. Recent rumours claim the Galaxy S6 will also feature a curved variant, indicating Samsung has interest in expanding the “Edge” idea. With the original Note Edge, we honestly did not see much innovation other than that wicked curved display of course. If the crowds respond well to the rumoured S6 Edge, we may see something significant from Samsung next fall. The chances of Google naming its latest reference smartphone the “Nexus 7” seem pretty low. Regardless of what Google decides to name it, the Nexus earns a spot on this list because it brings the latest version of Android to the battlefield and Android almost always makes significant changes that really affect the users. The Nexus 6 brought a phablet size but no phablet specific additions, hence it is safe to speculate that the next Nexus will do something to utilise the bigger screens we find on modern day smartphones. A widely anticipated and desired feature is true split screen multitasking. If Google introduces something as significant as that with wide app compatibility, productivity will receive a legitimate boost. Anyone familiar with this company knows its significance in the smartphone game. OPPO is virtually the first to jump into new technology, being the pioneers who introduced the very first 1080p and 2k smartphones. It may be safe to say that the first 4k smartphone will come from OPPO however their work with the rotating camera of the N1 and N3 along with the super thin R5 makes us more than eager when speculating their next innovative move. This may be cheating since we are generalising here a bit but after the Windows 10 event, s*!t looks serious at the Microsoft camp. Microsoft after ages showed us things that blew us away. They exceeded all expectations and actually innovated with their announcements. Though we did not see much of anything about Windows Phone, we already know playing Xbox One games may be possible on your smartphone. Cortana too looks to be taking a more significant place on the devices which can only lead to more competition and better consumer services. What arouses our interest is the prospects of a unified operating system base. 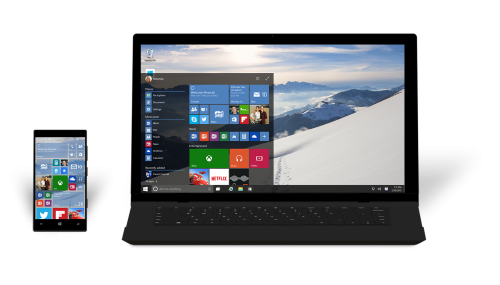 Windows 10 devices are going to be designed with seamless integration in mind. Coupled with the fresher take at Windows itself, Microsoft may be actually preparing a product that people will want to buy for the strong ecosystem. We all know the pilot for Google’s modular smartphone concept will kick off later this year in Puerto Rico so it was an obvious choice for this list. The modular smartphone concept is revolutionary and could change the entire face of the smartphone industry provided it proves itself worthy in its early stages. Project Ara not only broadens the prospects of some serious level customization but also offers the chance to literally create an Android device with the look and specifications that YOU want. Nobody would hypothetically be able to tell you what hardware limits your device, it’s going to be an open buffet and it will hopefully be affordable. All the above are merely assumptions based on educated guessing and debating. Chances are all or none of them will become reality. The honest truth is that the smartphone market is being homogeneous and competition will soon be no longer about specifications and design. Companies will have to do new things to keep the sales up so expecting new and exciting technology is merely logical.